Columbus Instruments Opto-Varimex Mini-8 Animal Activity Meter System IR . New Life Scientific, Inc. 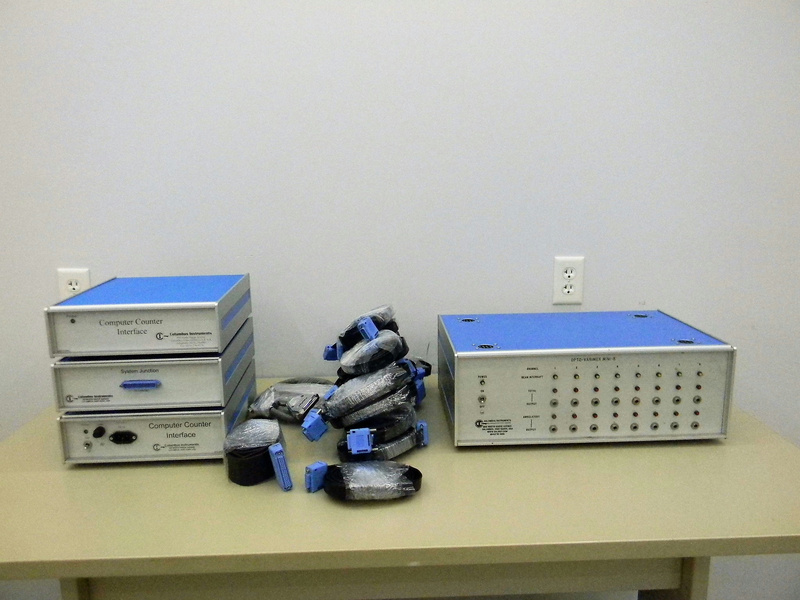 This is a used rodent activity monitoring system in good cosmetic condition and was powered on, but it is untested. The animal activity is monitored using infrared photocells that can distinguish ambulatory (walking) from total activity. This product comes with (16) 10.5 Length 15-pin Parallel Ribbon Cables, (1) 37-pin Ribbon Cable, (1) 35-pin Round Cable (counter to PC). For more information about the Mini System, please see the product datasheet here.